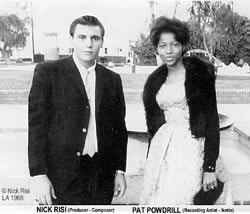 Pat Powdrill's mother and Nick Risi's father worked for the same company in Los Angeles. They started talking about Pat and Nick's interest in music and came to the conclusion that it would be beneficial for them to meet each other. At that time, Pat was under contract to Frank Sinatra's Label, Reprise. 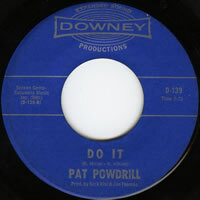 Pat Powdrill was born in Birmingham Alabama. Pat's family moved to Los Angeles, California, when she was eight years old. Nick Risi was born in Great Britain during the Second World War, who came from a family of musicians and enjoyed all kinds of music. Nick's paternal grandmother and her two elder brothers migrated to Great Britain from Cassino, Italy, in the late Nineteenth Century. They were Street entertainers in the winter and Ice Cream vendors in the summer. As a young teenager, Nick studied Music at the Royal Irish Academy of Music in Westland Row, Dublin. Nick's family migrated to the USA in 1957, at first living in Detroit and later moving to Los Angeles, where Nick became an independent record producer. He worked with various artists in Los Angeles during the 1960's. Pat invited Nick to her recording session of “Breaking Point” b/w “Luckiest Girl in Town” which was Pat's third and final single released by Reprise? Pat was a young and talented singer, vibrant and full of enthusiasm. Pat was always interested in listening to other people's music. Pat and Nick became friends and she occasionally attended rehearsals of other artists. In December 1964 Pat attended Jane Canada's rehearsal and later a practice session of ‘The Togas' at Record City owned by Nick's friend Jim Thomas. (Words by Jim Thomas Music by Nick Risi) b/w “Just Imagination” released on the Crusader Label. Nick Risi and Jim Thomas produced ‘The Togas' first single in 1965 “Baby I'm in the Mood for you” (written by Bob Dylan) b/w “Hurry to me” (words by Chris Morgan and music by Nick Risi) released on the Challenge Label, part of the Four Star Music Group. The original ‘Togas' consisted of five musicians, Chris Morgan vocals, John Bauman drums, Brian and Doug Decker guitar's, and Pete Parker keyboards. Nick stated that the Decker brothers and Pete Parker were very good young musicians. Pete Parker played the keyboard and contributed to the backing vocals on Pat's Downey singles. 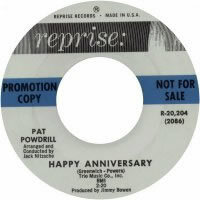 When Pat's contract ended with Reprise Records, Pat agreed to record some master tracks for Nick and Jim. 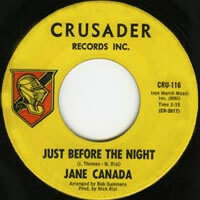 Two singles were released on the Downey Label in 1966 within a three month period. The first release was ‘DO IT'. At that time in the USA, most DJ's were reluctant to Play ‘DO IT' on air, as it was too suggestive? 'DO IT' produced by Nick Risi and Jim Thomas is very popular in the Northern Soul Scene and the original Downey 45 Vinyl in good condition sells for over £100.00. Barry White suggested one of his songs ‘Together Forever' to Nick and Jim for Pat's second single. Barry believed that it was the right song for Pat's voice. Barry also had some releases on the Downey Label under the name of Lee Barry. A few years later, Barry White hit the big time and became a Soul Legend. The flip side of ‘Together Forever' was ‘They are the Lonely' a flower power song written by Nick for a group. Pat chose the song because she wanted to sing and record something different. The Powerdrills, Pat's backing group were session singers which included Pete Parker and Jim Thomas. Also in 1966 Pat became an Ikette, backing Tina Turner and went on a World Tour.Pat and Nick met again in late 1968 when Pat finished touring as an Ikette. The Ikettes who toured England in April 1968 were Mary "Jean" Brown, Paulette Parker, Pat Powdrill and Ann Thomas. A few months earlier Nick had an accident resulting in a traumatic amputation of his ring finger. Contrary to other articles, Nick never used compensation money on his productions. Pat asked Nick to manage her, but Nick was reluctant to do so as he did not want to get involved with the artist management side of the business. Nick only agreed to take on this role temporarily until he could secure a record deal. Nick and Bob Summers agreed to produce Pat for Sidewalk Productions. Nick and Bob had worked together with various other artists from 1965 to 1969. Nick said that Bob Summers was a fantastic musician and music arranger. Bob also composed and supervised music for Film and Television. Bob's brother-in-law was the famous Les Paul, who married Bob's elder sister Colleen Summers, known on stage as Mary Ford. They had 16 top 10 hits in the 1950's including ‘How High the Moon' and ‘Vaya Con Dios', selling millions of records. Pat had changed from a young vibrant enthusiastic teenager, to a Glamorous Young Woman. Pat needed some professional photographs to reflect this change. Nick commissioned his friend, Hollywood Photographer Don Perry to do some portraits of Pat. Don Perry was not only an excellent photographer; he also supervised music for Television. Nick negotiated a deal with Forward Records. Pat and Nick mutually agreed to end the management agreement. In late 1969, Nick returned to the UK, where he produced a few British artists in the 1970's including Eddie Buchanan a regular entertainer on the Benny Hill Show. Nick now lives in England, with his wife and close to their four children. 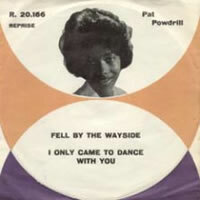 Pat was also one of the key vocalists on "Uptown Festival" by Shalamar. 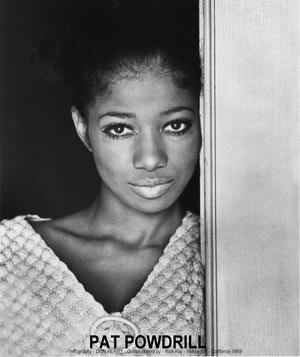 The song was recorded at Ike & Tina Turner's Bolic Sound Studio in East L.A. in the autumn of 1976 and, as a former Ikette and good friend of Ike & Tina, Pat came to the studio and joined Andrea and Gary - the other two uncredited vocalists who were featured on this million-seller. 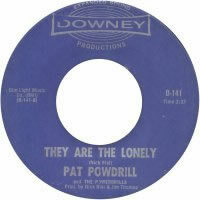 Sadly, Pat Powdrill passed away in 1996. Thanks to Paul Rice for the majority of this feature telling this little known story + to Nick Risi for the use of photos from his personal archive + Brian Neville for further information & images.